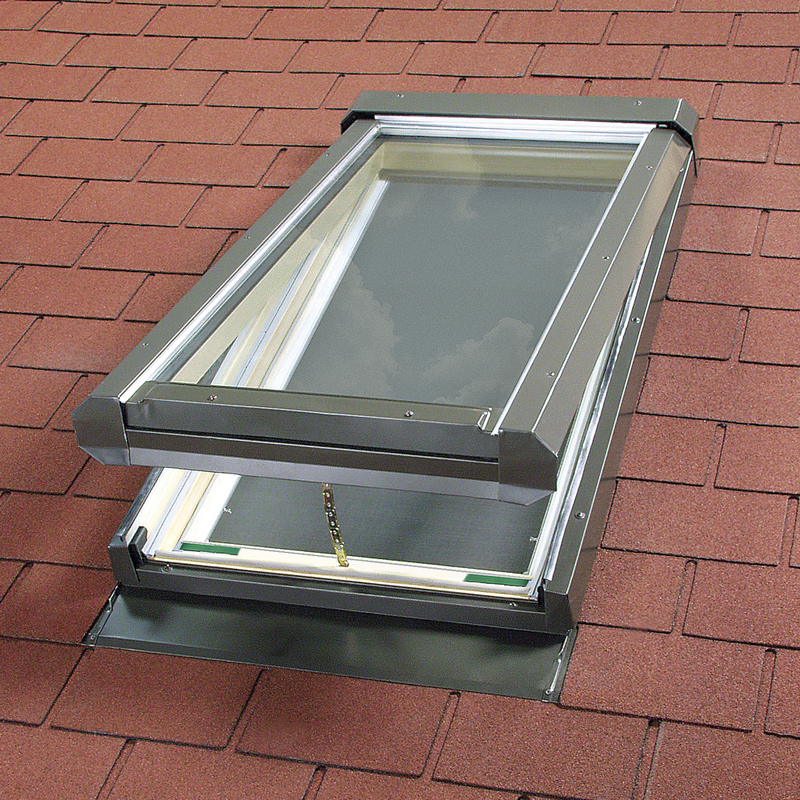 because FAKRO glass skylights and Egress windows are made of prime quality materials and components. They are manufactured with the use of the latest technologies and modern assembly lines. In addition, FAKRO skylights are monitored at every stage of production. High quality control standards and a simple installation process results in a “first on the market” wooden skylight with a LIFETIME WARRANTY*. 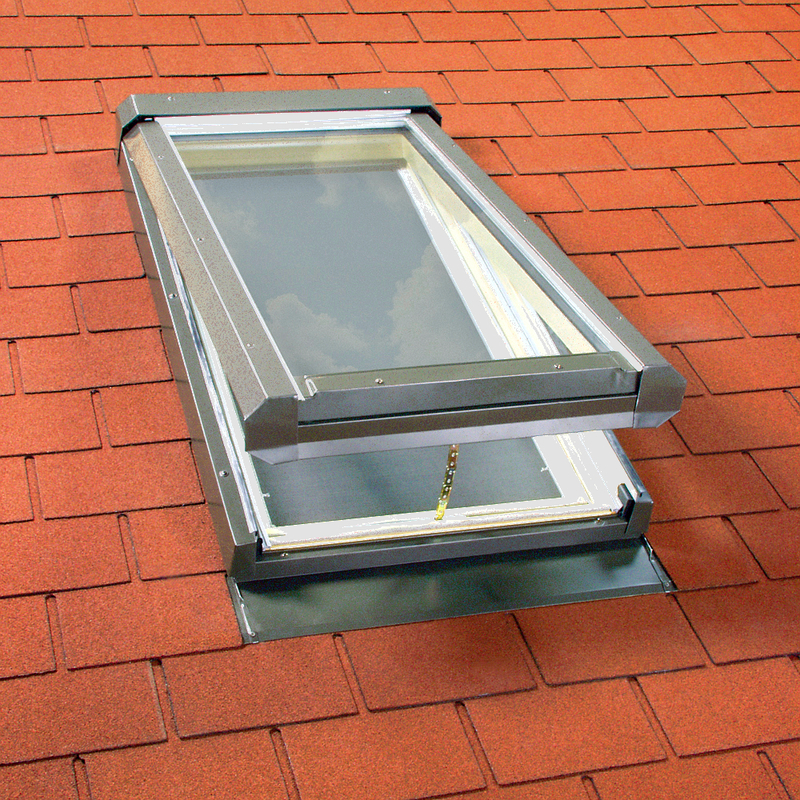 Fakro's side Hung Egress Window is chosen for rooms requiring an emergency escape via the roof. 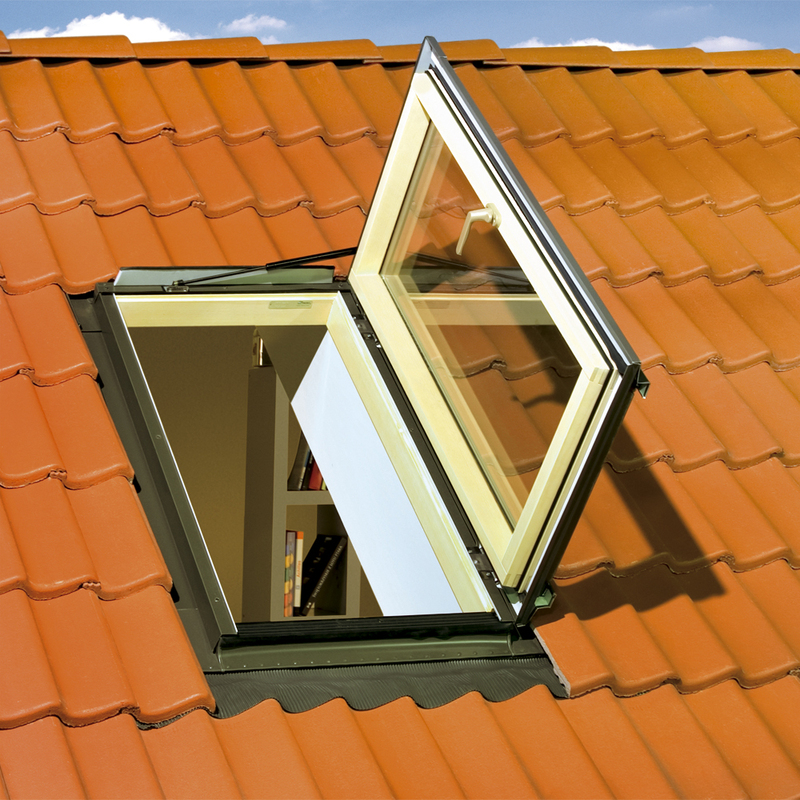 The FWU egress roof window meets safety and building code approval while allowing extra light into the room. The FWU size 24/46 window is officially recognized as a certified Fire Exit roof window**. Protection Against Effects Of Outside Condensation: Thanks to a very thick wooden frame -all metal hardware is eliminated. Metal causes condensation to form. In addition, an ice-water shield is added during the installation process to protect the wooden frame. Thus condensation will only appear on the ice-water shield and not the outside frame surface. 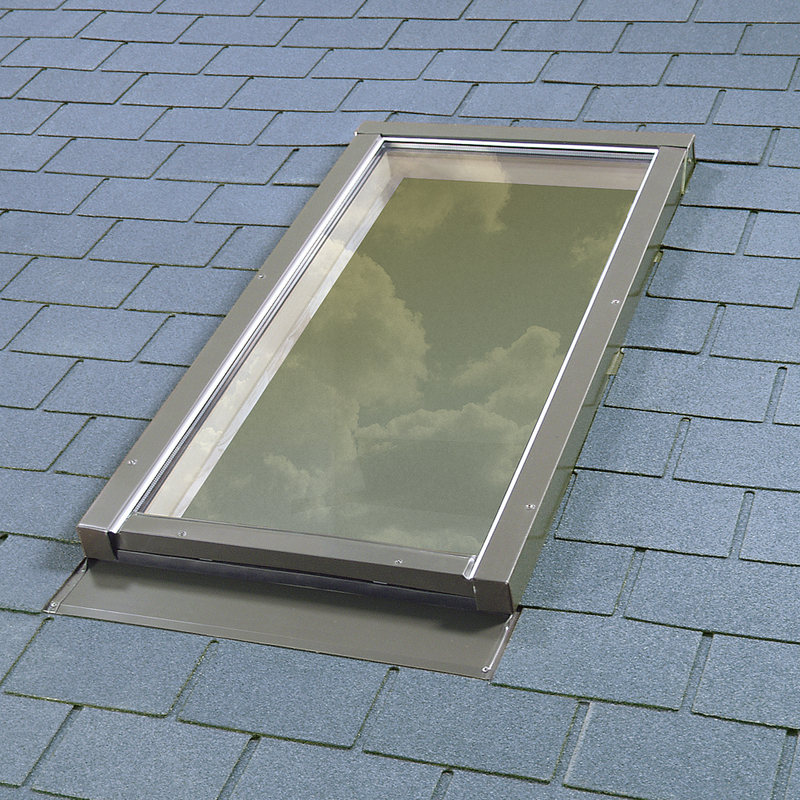 *Leak proof skylight: When installed according instructions, with the included flashing kit and ice-water shield membrane, FAKRO warrants a 10-YEAR LEAK-PROOF installation. Standard FAKRO skylights (FX, FV, FVE) comply with the applicable requirements of the: International Building Code (IBC), International Residential Code (IRC), International Energy Conservation Code (IECC). As a confirmation of the compliance with the above codes, FAKRO products has been awarded with the IAPMO UES # 0268. Fakro follows the rules of environmental protection. And respects local communities. Only sustainable and user-friendly materials are used. All wood components are sourced from well-managed forests. 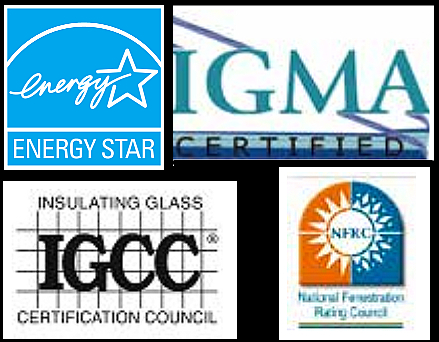 All FAKRO skylights are ENERGY STAR® qualified. 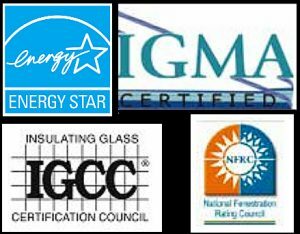 Also the IGCC (Insulating Glass Certification Council) and IGMA (Insulating Glass Manufacturers Alliance) requirements for initial and post gas fill weathering certification are fufilled. FAKRO skylights also satistfy the North American Fenestration Standards AAMA/WDMA/CSA 101/I.S.2/A440-05 (A440) for windows, doors and skylights.